Election day is right around the corner – and it looks like very few employees are happy about it, according to a new infographic from employee feedback platform Quantum Workplace. 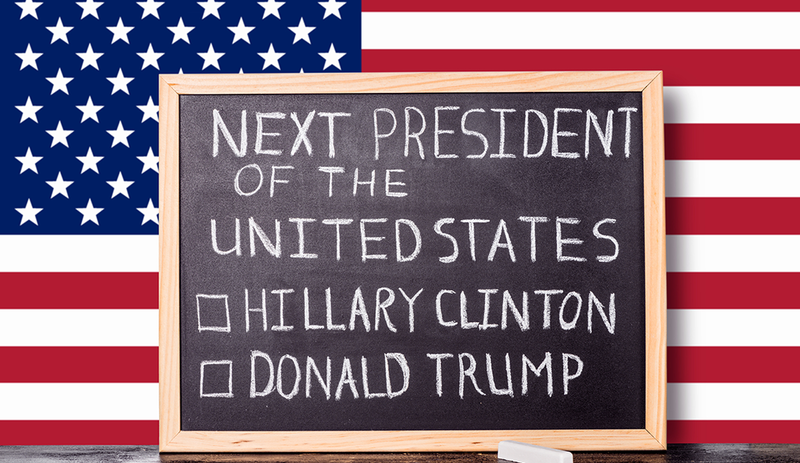 While 24.9 percent of the employees surveyed for the infographic said they would vote for Trump and 40.2 percent said they would support Clinton, a sizable portion – 23.8 percent – said they weren’t huge fans of either candidate. Furthermore, only 21.9 percent of surveyed employees felt Trump would positively impact their job if elected, while 28.5 percent said Clinton would. Why are employees so tepid about this year’s candidates? If Trump wins, employees are afraid there will be another financial crisis and/or international business will suffer. If Clinton gets elected, employees worry that they’ll pay higher taxes and their organizations will face tighter regulations. Of course, talking politics in the office is often a bad idea, but you may want to take some time to quell employees’ fears by addressing how your organization plans to weather whatever storms may come regardless of who gets elected. You don’t have to rail on either of the candidates to do so; simply lay out the plan for company success and assure employees that you have solid contingency plans.